This is the back of the castle, where my rental car pulled in and I emitted an uncontrollable, audible gasp. The grandeur of Château Pape Clément is where you’ll experience church meets wine and feel like you’ve gone to heaven. Part of this chateau’s structure dates back to the 16th century, during the time of Pope Clement V. But the vineyard on the estate, gifted to Pope Clement V upon his appointment as Archbishop of Bordeaux, has been around since the 13th century. As the oldest wine estate in the Bordeaux region of France, Château Pape Clément’s vineyard has survived phylloxera and two forms of mildew, as well as the French Revolution, the latter ending the relationship between church and wine. Today, both the vineyard and château stand strong and thrive in the commune of Pessac. Since the 1980’s, the château and its vineyards have been owned by Bernard Magrez, better known for his Luxury Wine Tourism brand. 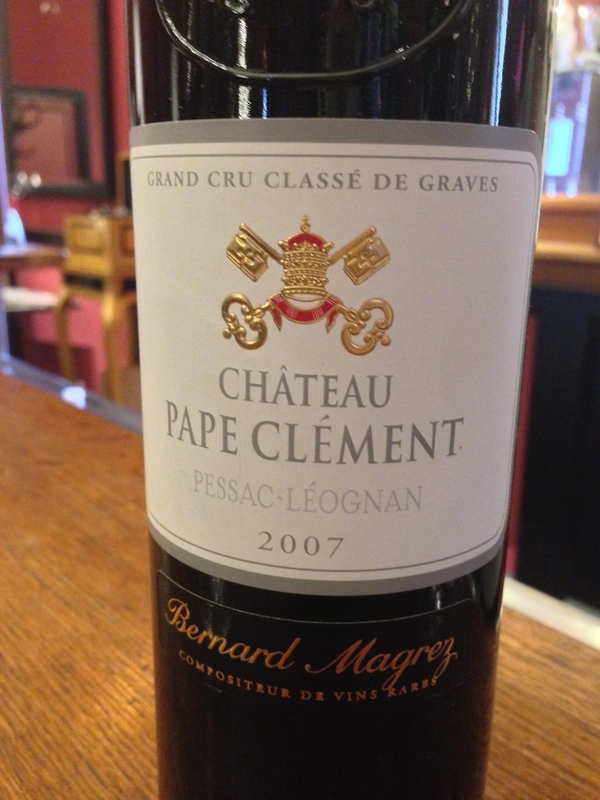 In 2009, Magrez’ Grand vin, Château Pape Clément was awarded a perfect 100 from wine critic, Robert Parker, a gift from the heavens, perhaps. For my bottle of Mon Seul Reve, carignan, syrah and grenache grapes were blended together to make an elegant offering I enjoyed a month following my visit. Perhaps I waited to savor the experience, since it was decadent and memorable. The chateau and winery, papal shrine and vineyard/grounds are worth a visit to the Bordeaux region of France. Check out the clay holding tank the winery is trying out these days (photo above, right). If grandiose wine tasting and accommodations haven’t sold you by now, the neighboring tasting room is where you’ll get to sample the celebrated Grand Cru Classic, which was made with grapes grown in Pessac Leognan of 53 hectares. The grapes are cabernet sauvignon, merlot and a small percentage of petit verdot and an even smaller percentage (1%) of cabernet franc. This is a bottle worth every single sip. In fact, you can craft your own bottle of blends on certain days/times at the tasting bar.